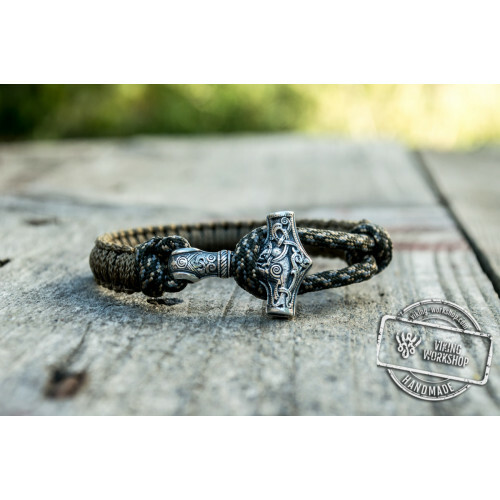 Ancient jewelry can be trendy and stylish. 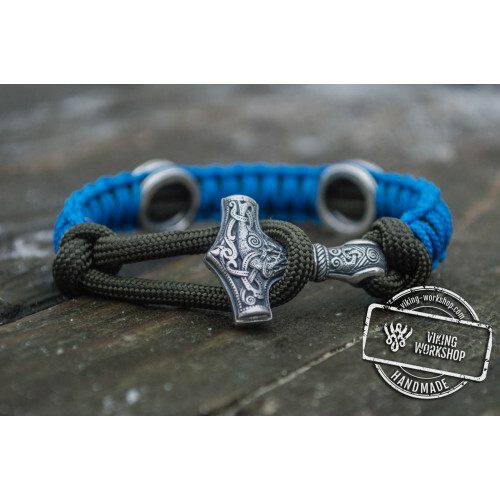 This set idea is a perfect solution for young active people. 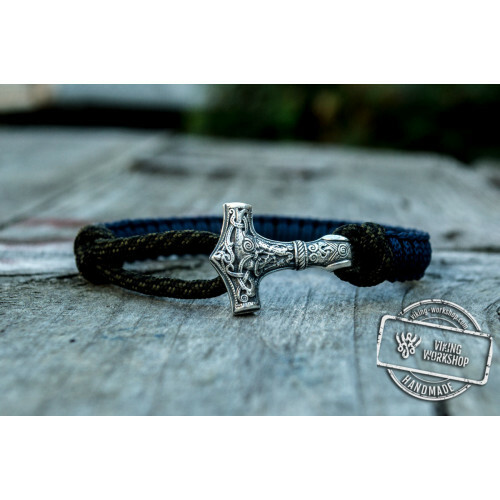 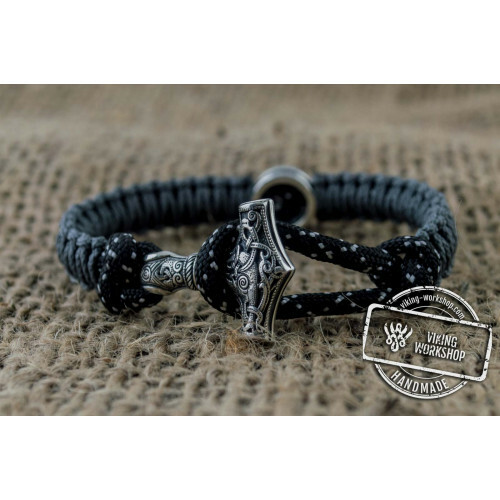 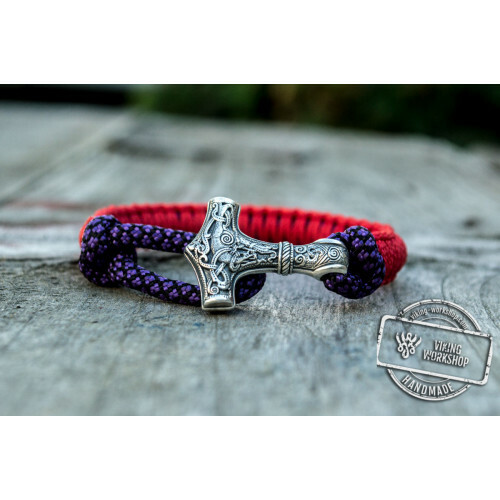 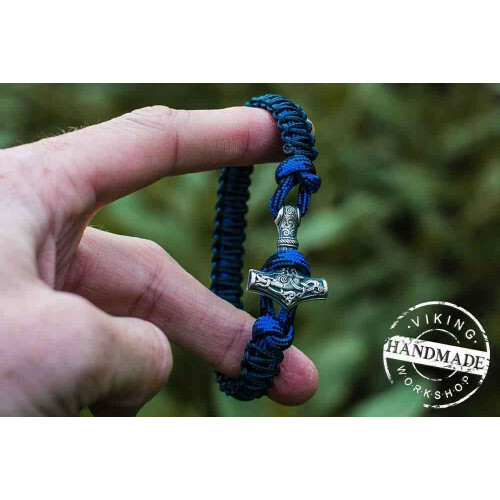 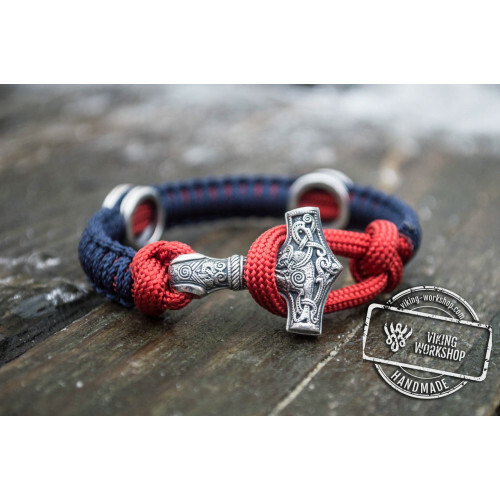 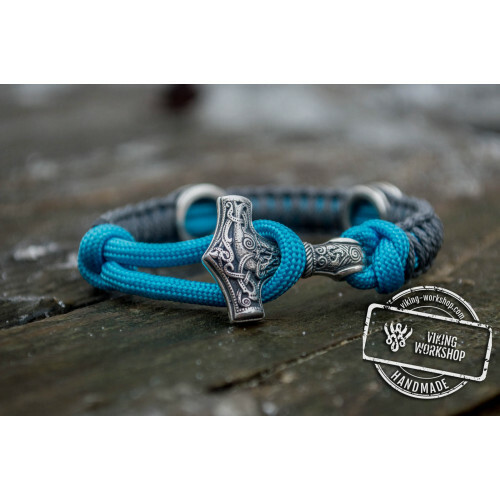 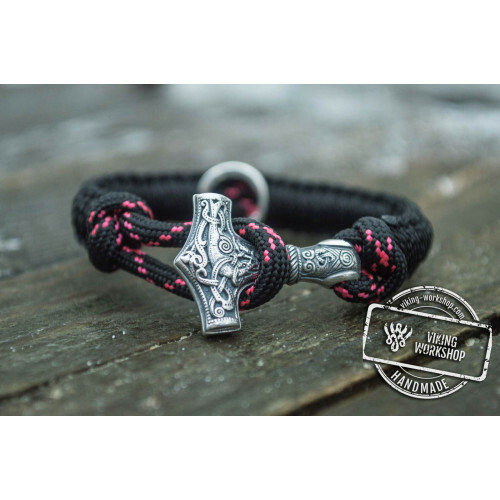 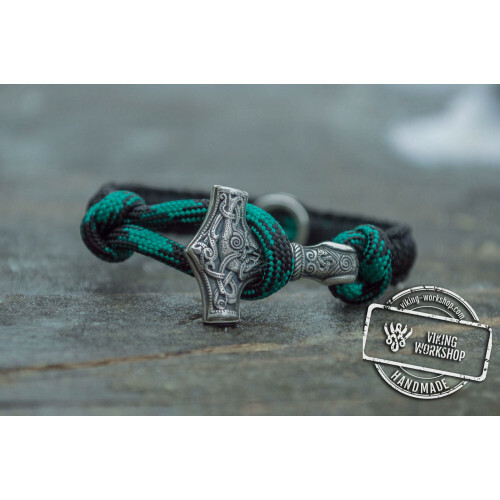 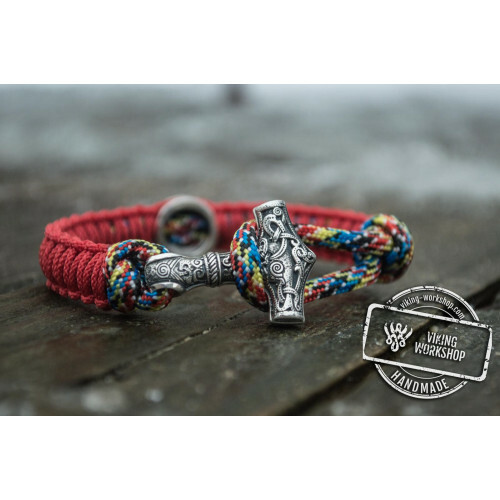 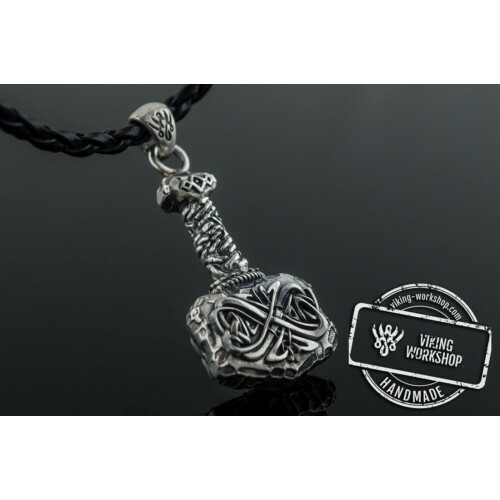 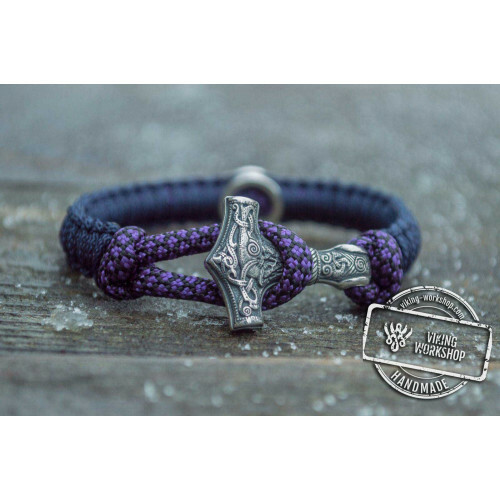 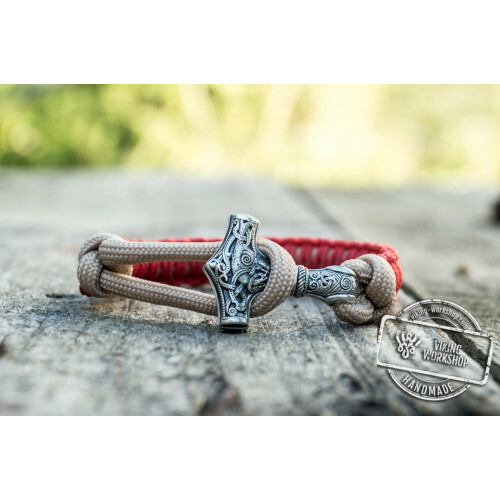 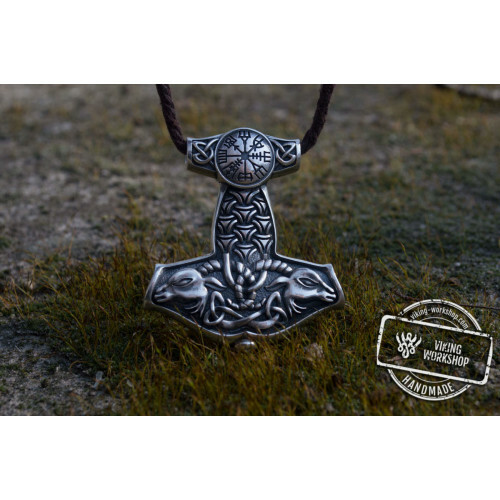 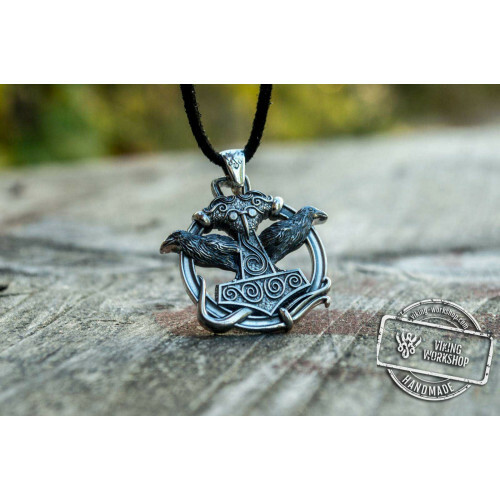 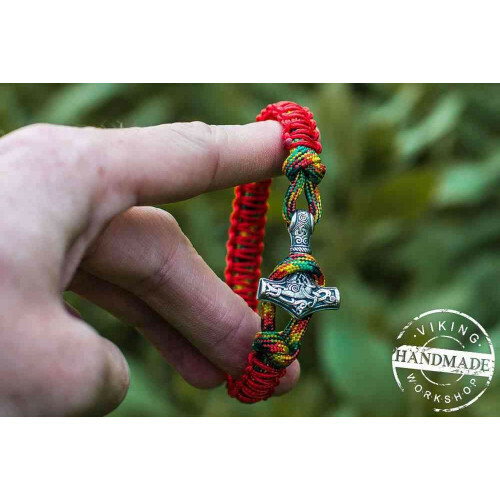 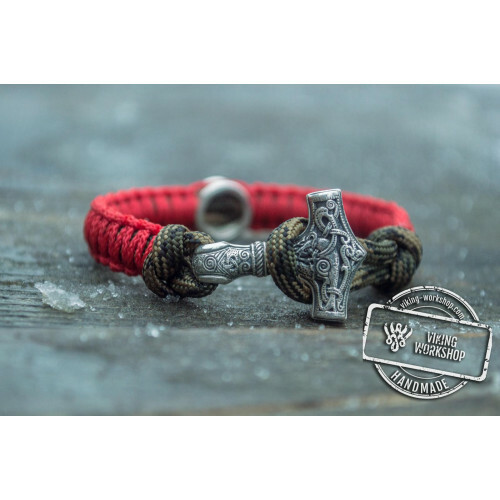 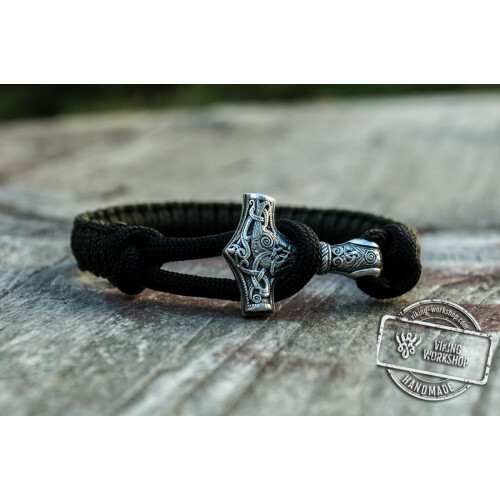 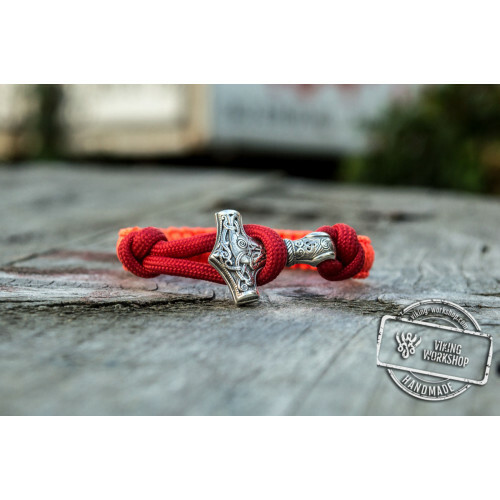 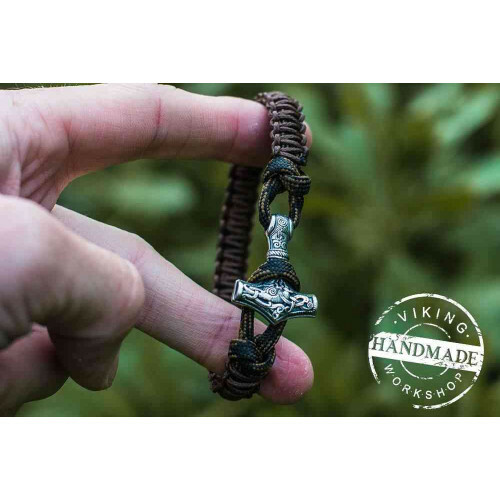 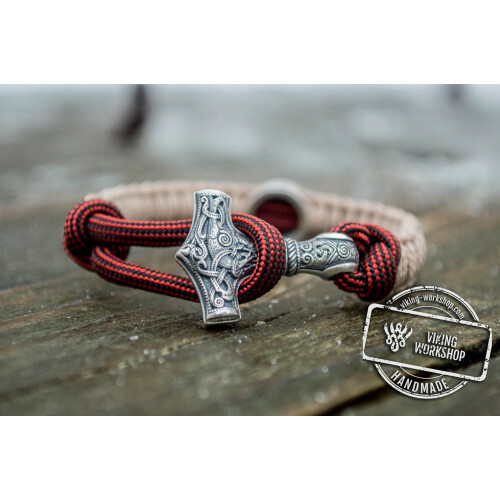 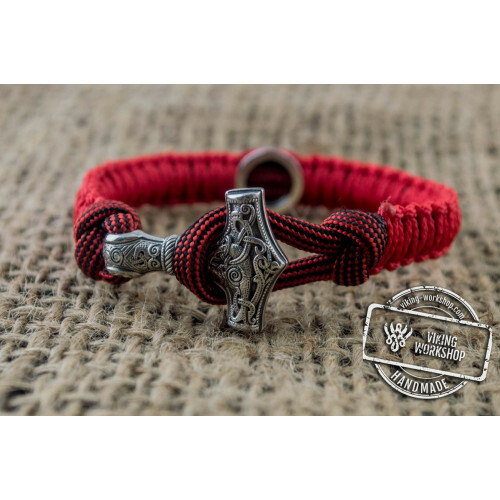 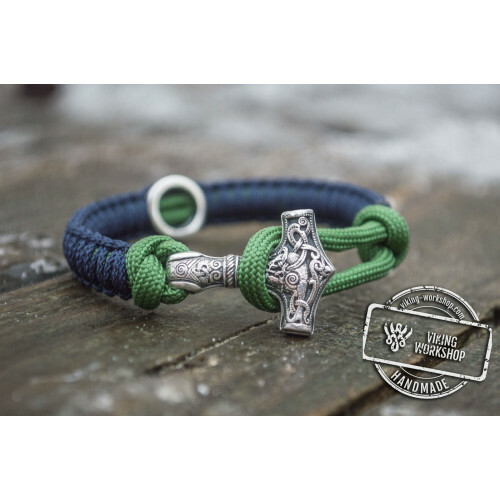 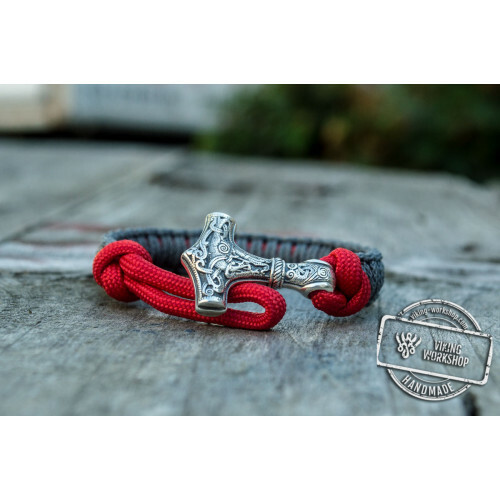 The bracelet has the most powerful protective amulet — Thor's Hammer. 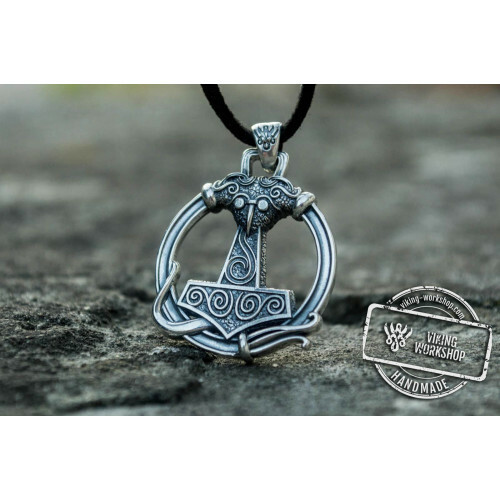 This unit, according to mythology and archaeological findings, was used not only for fighting and defeating enemies and evil forces but in many rituals and ceremonies as a consecrating item. 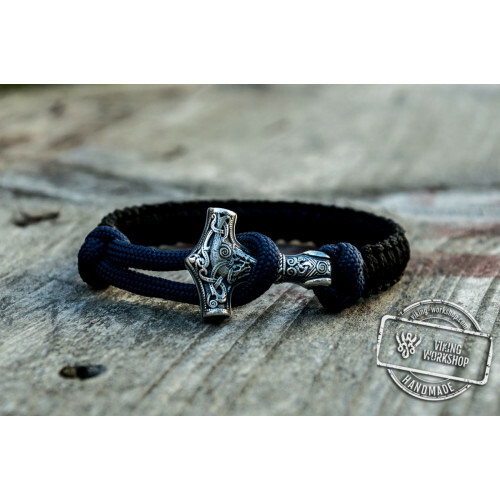 The symbol represents justice and gives divine power to its owner. 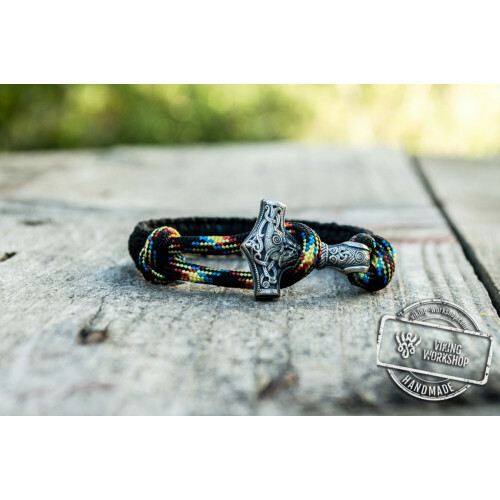 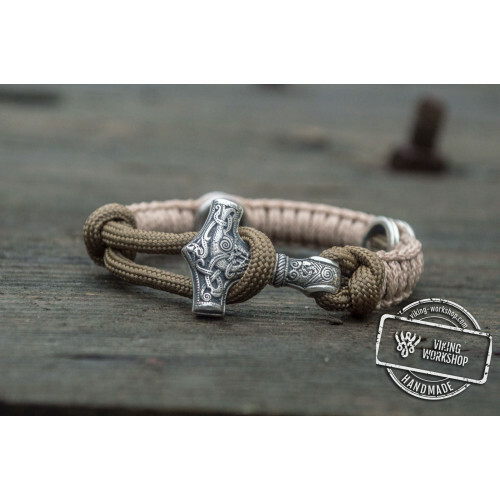 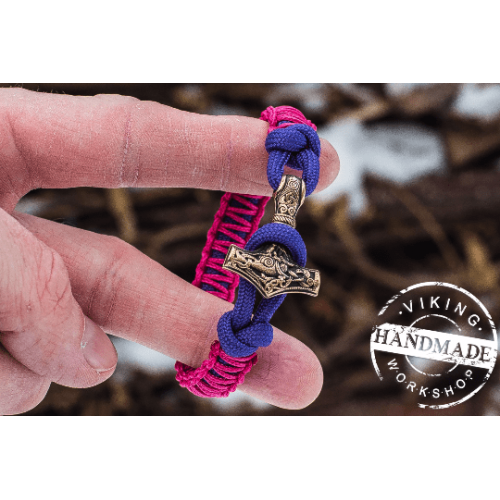 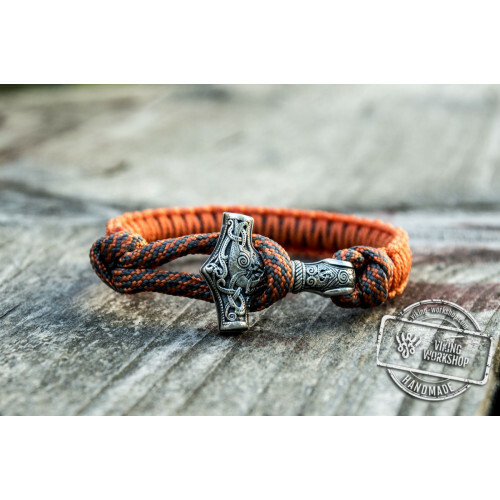 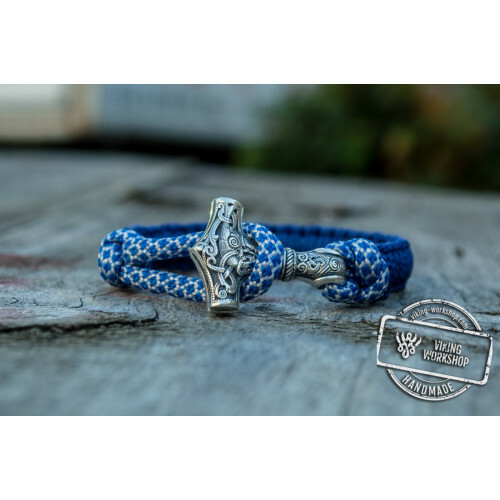 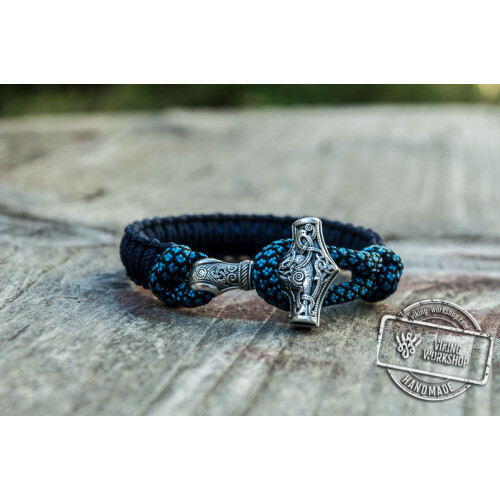 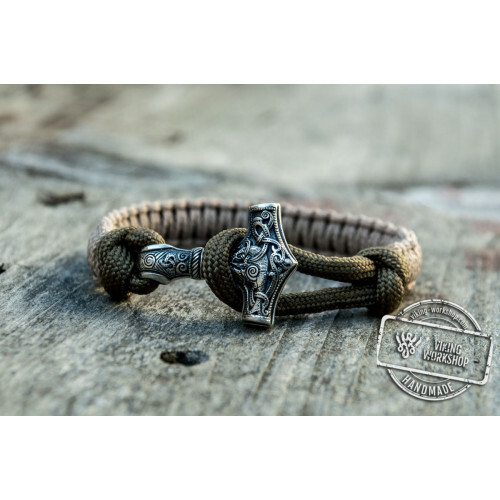 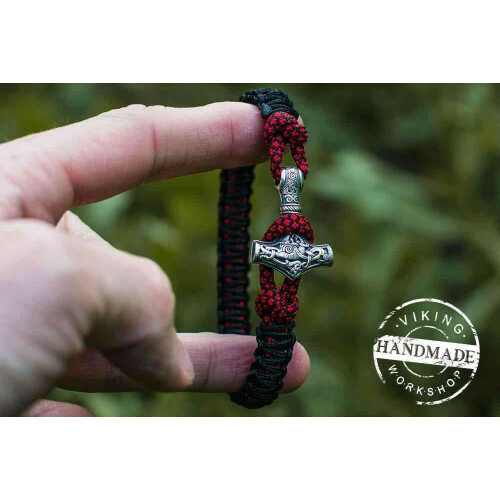 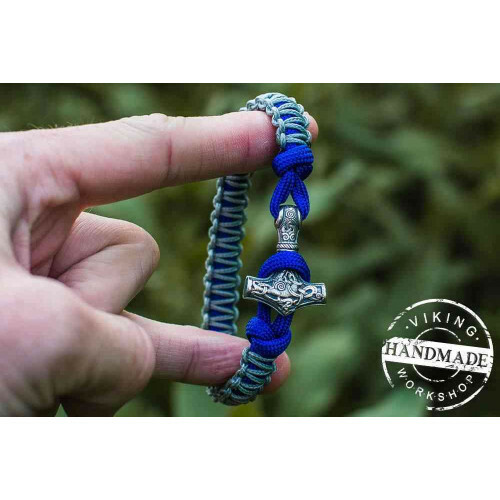 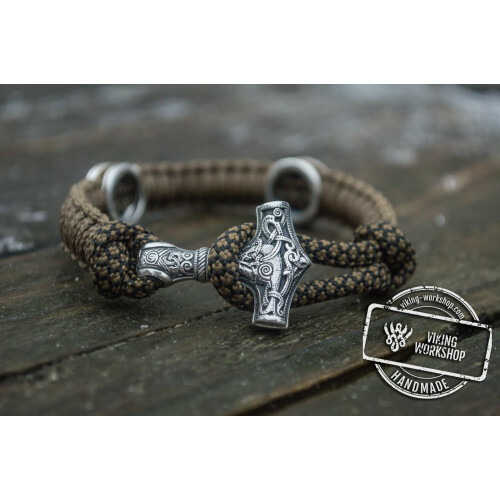 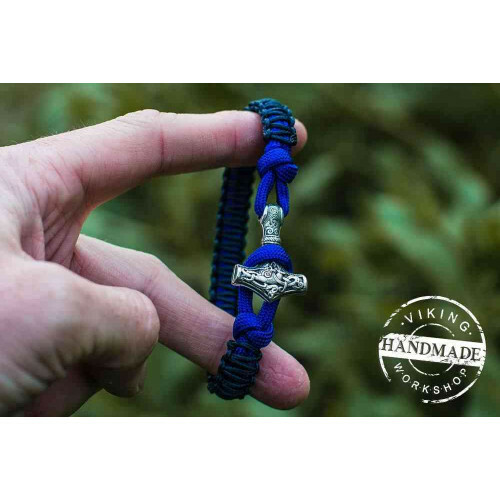 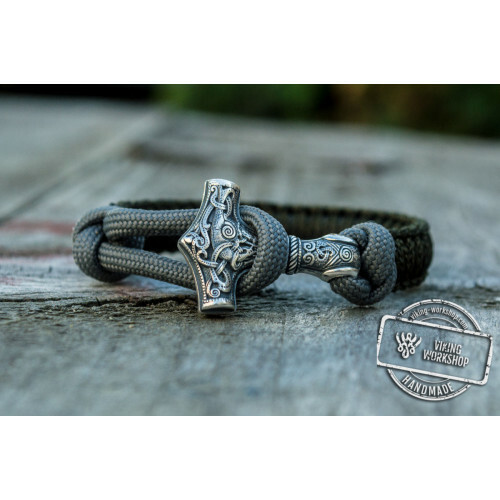 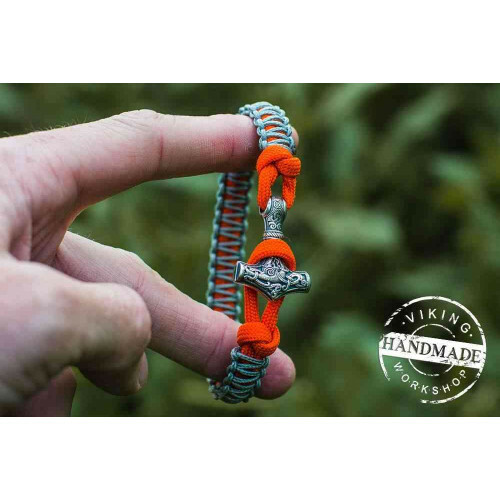 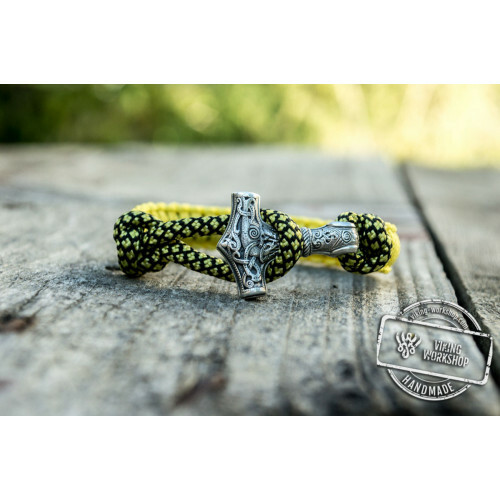 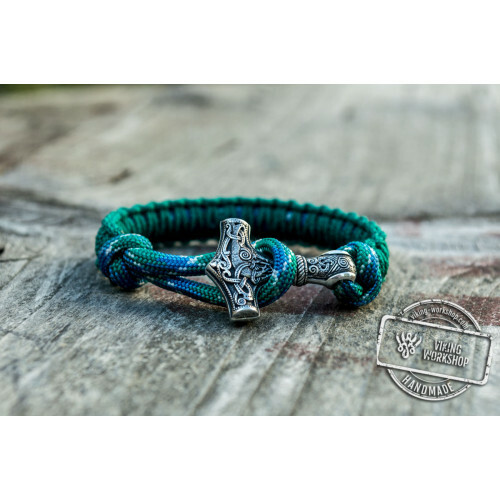 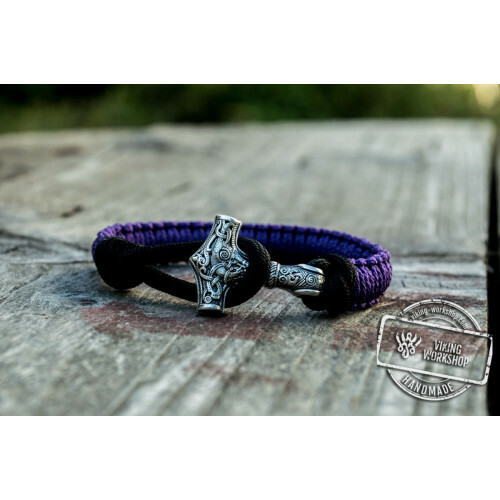 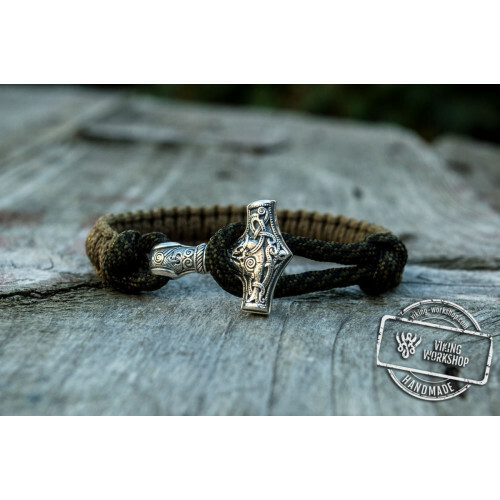 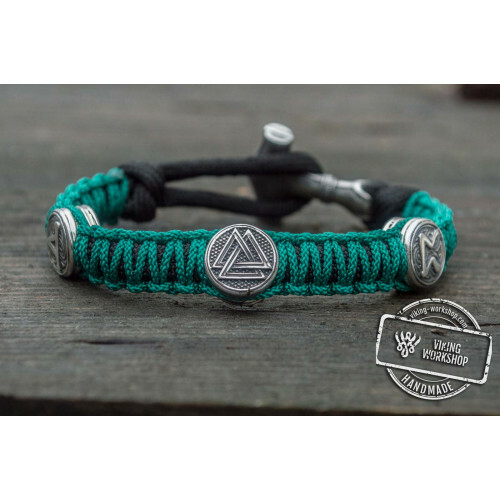 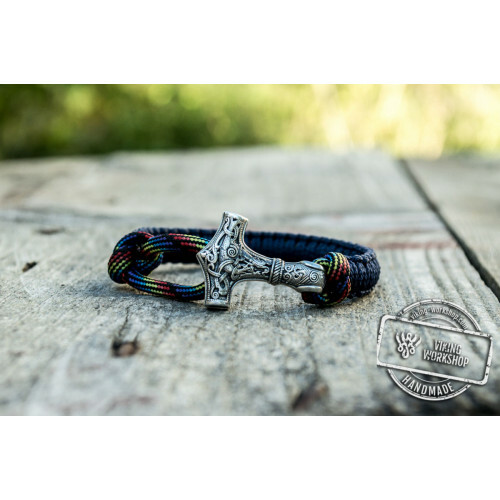 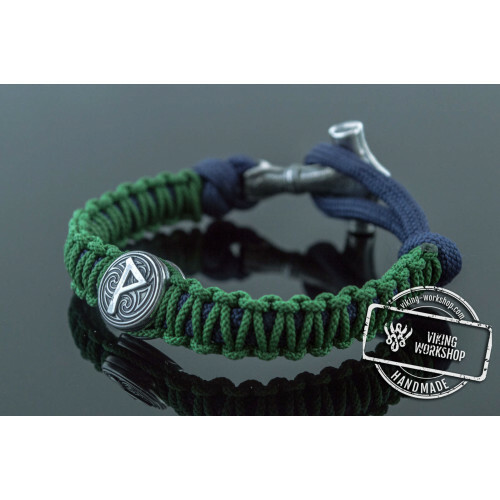 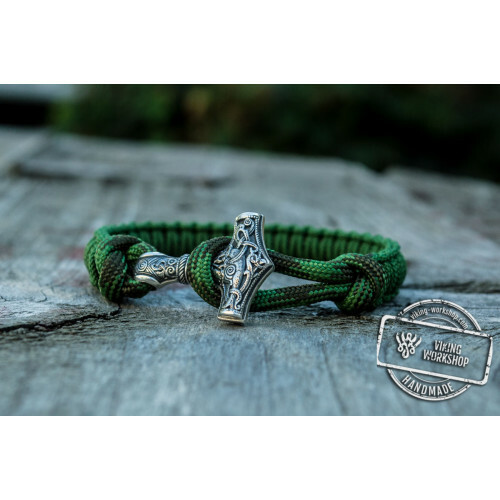 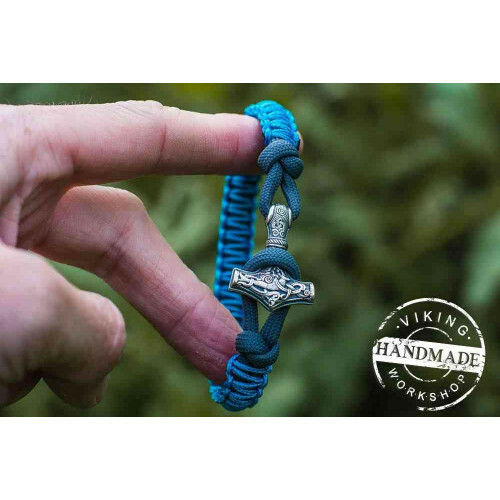 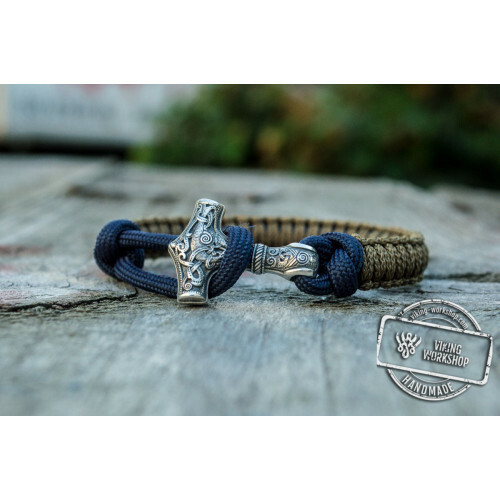 The pendant is kept on a durable paracord bracelet. 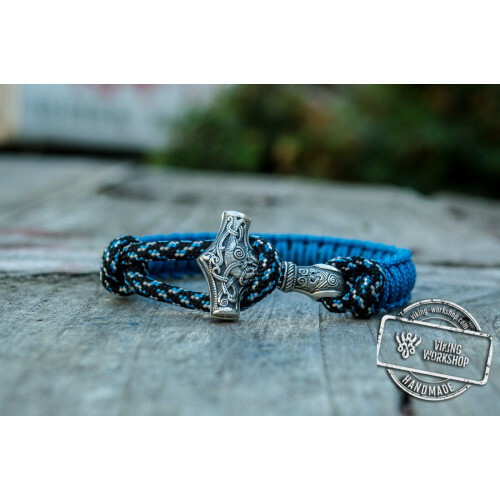 Two interwoven paracords securely lock the amulet. 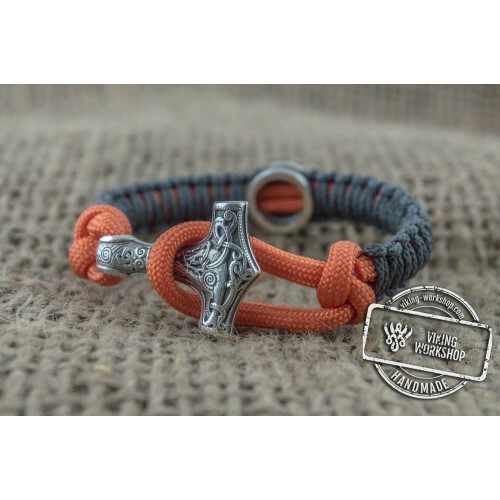 Orange color represents harmony, intelligence and sociability, while light blue means inspiration and freedom. 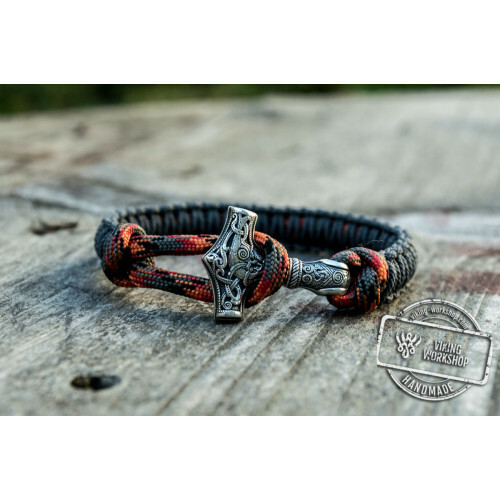 This is a perfect set for peaceful minded people opened to communication and cooperation.